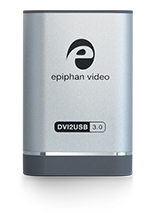 Epiphan’s family of durable, portable, simple to use video grabbers let you capture real time video no matter the source. 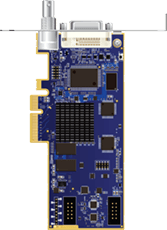 With dedicated inputs for VGA, DVI/HDMI™ and SDI, our external grabbers and PCIe capture cards are up to any job. Supporting HDMI capture, DVI2USB 3.0 operates over USB 3.0 and is also backwards compatible with USB 2.0.; our PCIe cards DVI2PCIe Duo offer the fastest capture rates and support installation in full or half-height cases. HDMI connectivity is standard on a wide range of products, from HDTVs and Blu-ray Disc players to multimedia PCs, gaming systems, and more. The video quality of HDMI devices is superior than that its analog counterparts of the past. The growth of HDMI adoption is being driven by portable media players, digital still cameras, televisions, computers, phones, tablets and digital video cameras. As HDMI is now becoming the dominant interface for a great number of computers, cameras and mobile devices providing video and audio, users need to have a trustworthy solution that allows them to perform HDMI video capture from video sources on these devices. Lossless image capture from all these HDMI video devices is possible using DVI2USB 3.0 and DVI2PCIe Duo with an HDMI to DVI adapter or cable. (HDCP-protected or encrypted copy protected intellectual property content cannot be captured with the Epiphan Frame Grabbers). After connecting the HDMI video source to the Epiphan video grabber (adapter is included with DVI2USB 3.0 and DVI2PCIe Duo), the video grabber is identified to applications by the system as a high resolution camera. This approach enables the use of third-party video editing, streaming and recording software during capturing images and video. Alternatively, with Epiphan’s free capture tool or SDK can let you integrate the video grabber capture into custom solutions to meet the needs of specific applications. HDMI is capable of carrying full 1080p video and multichannel audio. Audio capture is supported over HDMI with DVI2USB3.0 and DVI2PCIe Duo. DVI2USB 3.0™ is a high performance USB video grabber for lossless video capture from any device with a HDMI™, DVI or VGA output port. Capture two video channels of 1080p DVI/HDMI/VGA and SDI sources at 60 fps with this powerful capture card with DVI2PCIe Duo. Even when a device does not provide native HDMI output, vendors will often provide adapters to provide HDMI video out, this enable capturing by Epiphan Frame Grabbers. For example, HDMI converters are available for iPads, iPhones, MACs, Android phones, other mobile phones and eBook readers. 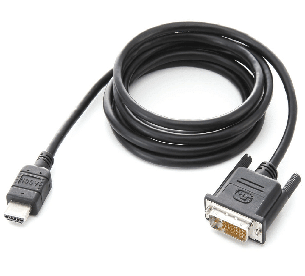 With DVI2USB 3.0, DVI2PCIe and DVI2PCIe Duo Epiphan provides the HDMI to DVI adapter needed for converting the signal to the DVI pin pattern.